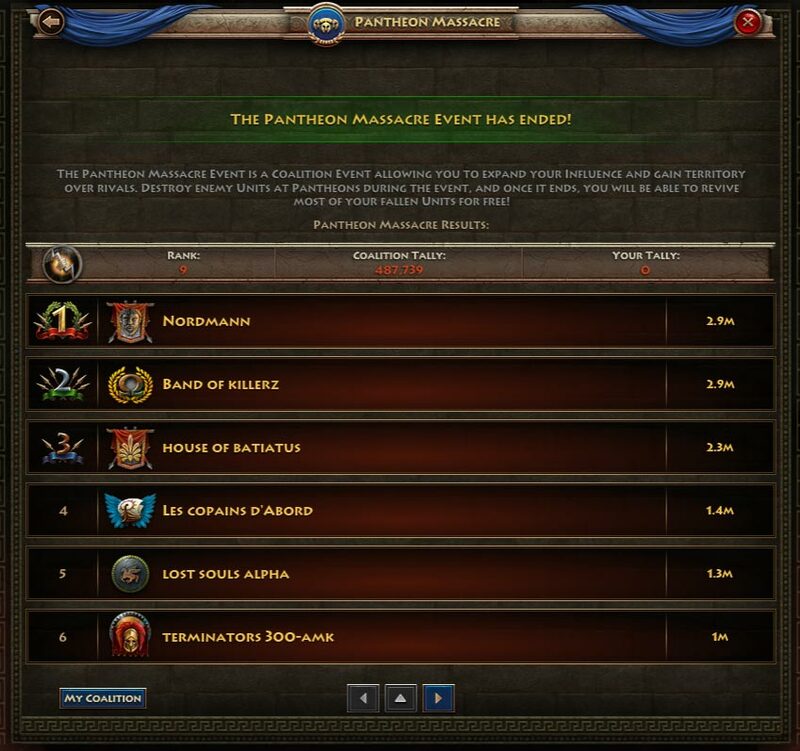 New Pantheons are here, but wait there is a catch. The gods above have played another game with the hearts and minds of men. Another Pantheon Massacre is upon us and it couldn't of come at a more inconvenient time. 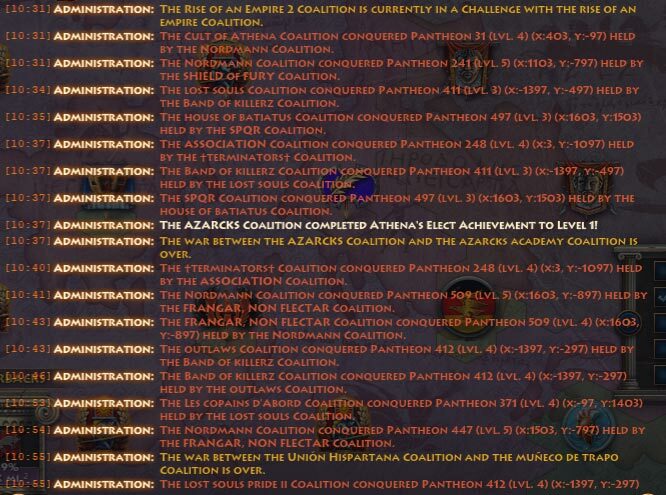 Another day, another Pantheon Massacre, another Pantheon spawn? Wait a minute, this was no typical week! This was a week of madness, death, destruction and confusion. 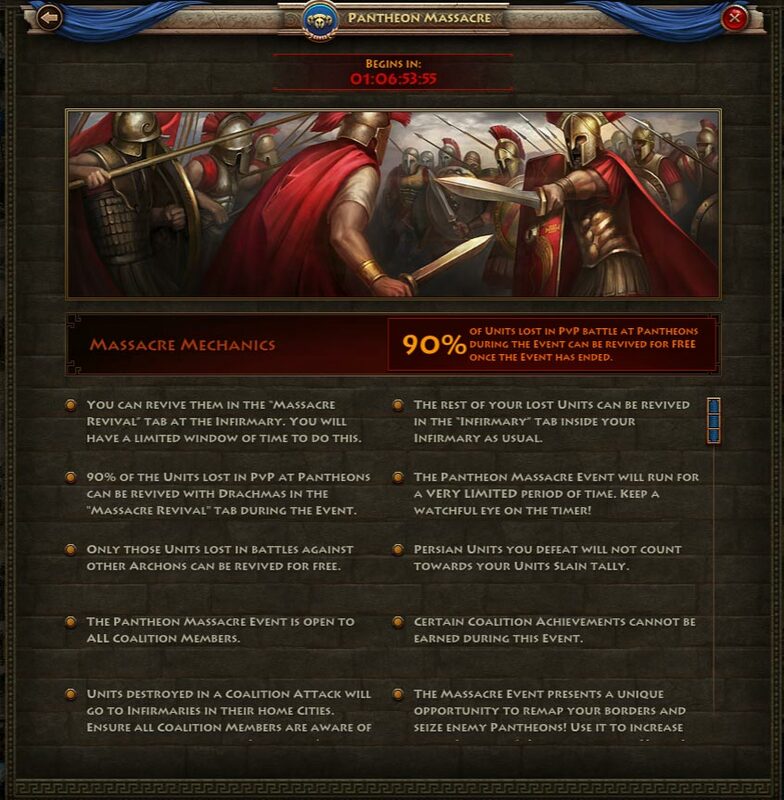 Continuing on with their games, the gods above have initiated ANOTHER Pantheon Massacre event and it didn't take long for this event to spread across the realm, gripping many of its citizens in a state of bloodlust and madness. 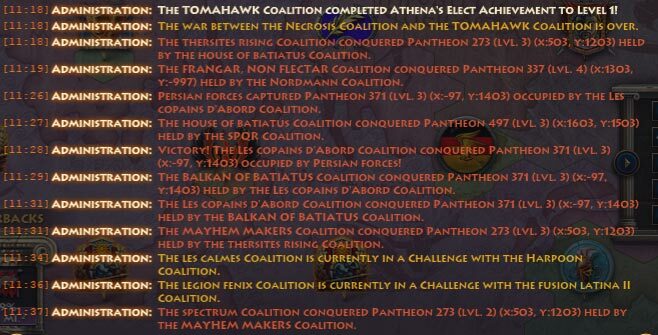 Many coalitions withdrew behind the walls of their strongest bastions, bolstering their forces in the Pantheons, while others abandoned the walls, deciding it much wiser to sit out the upcoming battles and save their forces for another day. Yet, as previously mentioned, this was just one of the issues facing the realm, as the gods were feeling especially cruel in their daily meddlings: Numerous pantheon rose forth all around the map, causing many coalitions to scramble to possess them, right at the worst time possible. The result of this combination was great death and despair, which can be seen below and were not unexpected given the occurrence of these two events together. The dreaded "wall of red" flooded the reports of citizens around the realm and the Chronicle alike. Coalition leaders issued attack orders against their enemies, hoping to take advantage of the confusion and the event, knowing that they would receive 90% of their fallen forces back upon completion of the event. 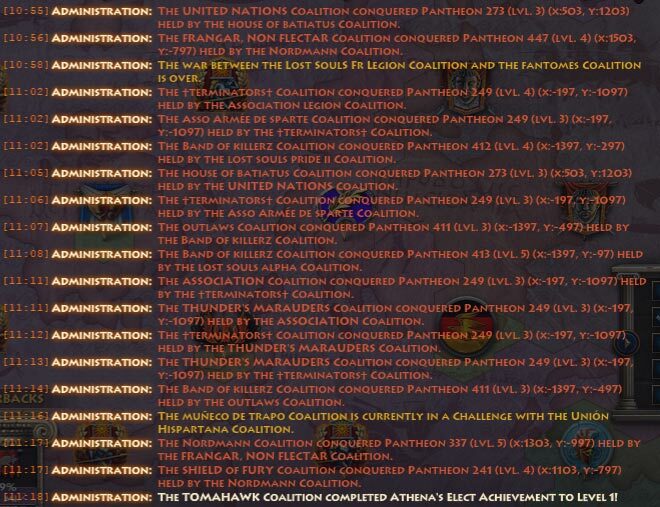 In the end, as the dust settled, numerous Pantheons were reduced to a lowly state of level one, seeing the hard work it took to get them to level five erased in a matter of hours. Those who both caused the most damage and received the brunt of the blows were proudly announced and displayed for all to see. Whether it is a warning or a statement of pride to be listed on these charts is left for the reader to judge, but one thing is for certain: the realm will never be the same. The Pantheon Massacres have assured that.